If a nerve is stretched or has excess pressure on it from abnormal swelling caused by joint misalignment, then a chronic neuritis condition will develop. This happens most often when the spinal vertebrae are pulled out of their normal alignment, which is also known as spinal subluxation. Homeopathy remedies have very good cure rate any nerve related disorders that may be neuralgia, neuritis, or neuropathy. In our Multicare homeopathy online treatment center peoples suffering from chronic neuritis have been benefitted using our advanced homeopathic treatment packages. 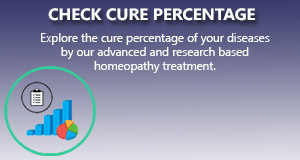 We apply the most scientific and research based homeopathy treatment package for chronic neuritis that gives a long standing cure to the ailment.